DNF Naturally, I don’t review DNFed books, but there is something that needs to be said here. “Don’t! Just don’t.” How dare he? Does he think if he touches me, I’ll give in? Tell him it’s okay that he’s a monster? *gags* I checked my friend reviews on this book, several were positive, ranting on about it’s stunning premise and idea. I DO agree. However, I think it was poorly written and executed. Stopping at page 178, I am rather irritated. I was looking for this entrap urging world that seemed so unique and original at the time, instead I got a piece of horse manure. Multiple times, I wanted to close the book and give up completely, well, eventually I did (which I’m grateful for) but it was infuriating, the flaws were literally glaring at me on each page. 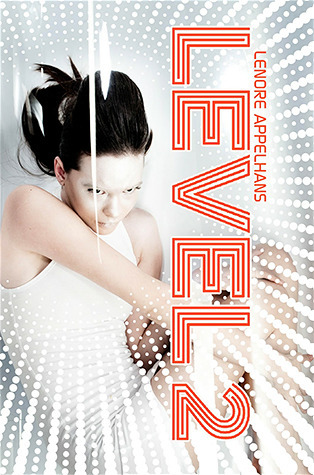 Level 2, a stark white afterlife limbo, where people spend their endless days replaying their memories. Felicia Ward is one of those people. She is dead. Her memories is her reality, her home, where she can see her family, friends, boyfriend and the one that broke her heart —- the one that broke into Level 2 to take her away. Rebellion is brewing. Felicia is an annoying protagonist, I couldn’t relate to her in any way, shape or form, her characteristics seemed like they were created for a background character. Another element that worried and bored me was the plot line. There was no plot line, well not until 20 pages before I DNFed this thing. The first half was monotonous, uneventful and lacks description. All in all, Level 2 was a large disappointment that saddens me each second I think of it. While there were flaws in Lenore’s debut, her writing style and idea was well thought. Maybe more tweaking and it would be my favourite book. Recommended to people who enjoy Neal Shusterman’s books. I had to google DNF to see what it stood for….I would have given it a chance in H*ll. Sorry, I thought DNF was a common enough acronym among bloggers and reviewers. I didn’t know what it stood for until I read a negative review on a book…I figured out by then 😀 it means did not finish to all you other lovely people. Sorry for any inconvenience or confusion! Aww, too bad about the DNF. I hate when a book looks so promising and it ends up being terrible. I probably won’t be reading this if it’s this bad! Oh! I’m sorry about your DNF! I wanted to read this book because a lot of friends recommended it to me but… I hate monotony and poor plots in books. The idea of a limbo seemed interesting though. Sorry that this was a DNF for you…thanks for the honest review. I still think I’m going to check this out but thanks for heads up.